Has The North Korean Threat Increased? The “vast number” of solid-fuel missiles on display was “most likely intended to drive home the point that (North Korea) has achieved the technical capability to produce longer-range solid-fuel missiles,” he said. Such weapons can be stored ready for launch for longer periods of time and require less preparation, making a surprise attack easier. 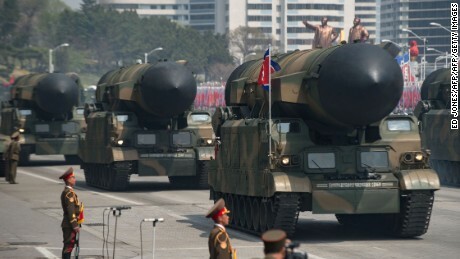 A series of solid-fuel missiles were on display at North Korea’s most recent military parade. North Korea has long claimed that it is capable of miniaturizing a nuclear weapon in order to attach it to an ICBM, and Kim has vowed to test an intercontinental missile in the near future. 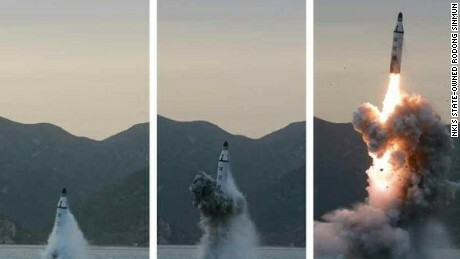 It has also conducted apparently successful tests of submarine-launched ballistic missiles that increase the range from which potential attacks could be staged. “The number of tests, range and sophistication have gone up exponentially under Kim Jong Un,” Euan Graham, an analyst at the Lowy Institute in Sydney, told CNN last month. The North Koreans “have a fixed set of aims and ambitions, they want a nuclear weapon that’s attached to a ballistic missile system,” said Nick Bisley, an analyst at Melbourne’s La Trobe University. North Korea has tested numerous ballistic missiles in recent months, including submarine-launched missiles. Earlier this month, Japanese Prime Minister Shinzo Abe warned that North Korea may already have the capability to hit Japan with missiles tipped with the deadly nerve agent sarin. North Korea is one of only six countries not to have signed or acceded to the Chemical Weapons Convention and both the US and South Korea have said it possesses large stockpiles of chemical and biological weapons. (North Korean military parade) was something of a scale never seen before. Despite widespread predictions of instability, Kim Jong Un has succeeded in maintaining his family’s ironclad grip on the country, and fulfilled his father’s desire of a functioning nuclear weapons program, as well as majorly improved missile capabilities. 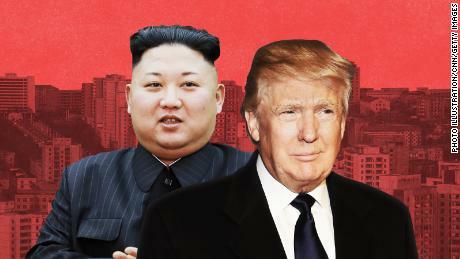 International sanctions — even with the buy in of China, North Korea’s only real ally — have failed to halt either of these programs. Right now, Graham said, Kim is focused on shoring up his long-term security, particularly against any threat of US-led regime change. “They’ve repeatedly stated that if Libya or Iraq had nuclear weapons the US would not have attacked them,” he said. Some argue that the threat from North Korea hasn’t changed, but what has changed is attitudes in Washington and Tokyo. In Japan, Prime Minister Shinzo Abe is attempting to rewrite the country’s pacifist constitution to enable it to strike overseas, while US President Donald Trump has proven to be keen on foreign interventions despite his isolationist campaign promises. Jean Lee, a global fellow at the US-based Wilson Center, said that many South Koreans, who are most at risk of any conflict with North Korea, are less concerned with the rhetoric coming from Pyongyang as that coming from Washington. “We know the North Koreans are going to push things to the edge, they always do, we don’t know how President Trump will respond,” she told CNN. How Kim Jong Un and Donald Trump will act remains incredibly hard to predict. While the number of North Korean missile tests may have increased, but their reliability remains in question. The most recent ended in embarrassing failure, as have many others. Particularly prone to failure is the intermediate-range Musudan missile, believed to be the country’s most domestically-developed and therefore easiest to build. Tal Inbar, an analyst with the Fisher Institute for Air and Space Strategic Studies, said a reasonable amount of flight tests for an ICBM “would be at least six to eight successful launches.” So far North Korea hasn’t conducted one. “The question remains of what would be the reliability of a missile that has never flown before,” he said. 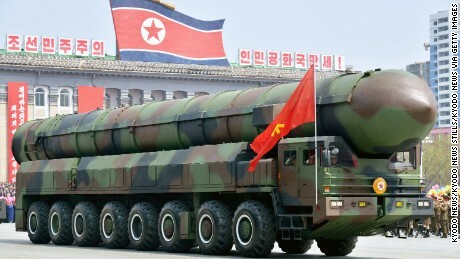 Two new purported ICBMs were on display at the recent military parade, raising questions as to the breadth of the North Korean program. Claims about intercontinental capabilities should therefore be taken with a large grain of salt, said weapons expert Markus Schiller. He said that while North Korean propaganda “looks impressive,” it is also often wildly misleading. In particular, he points to the vast number of ICBMs Pyongyang claims are under development. Multiple alleged ICBMs on show should lead to skepticism, not fear, he said. “Four ICBM programs in a country with an estimated GDP roughly half that of the city of Vienna seems unlikely,” Schiller wrote after the “Day of the Sun” military parade. They are a very, very long way away from (getting an ICBM). While North Korea has long been considered dangerous, the threat it poses has remained largely the same since it first tested a nuclear weapon in 2006, analysts say. Parts of South Korea and Japan have been in range of conventional artillery or medium-range ballistic missiles for decades. Chemical, biological and nuclear warheads give an extra, terrifying edge to this threat, but they too are a known threat and one that has not obviously increased in recent years. Related Post "Has The North Korean Threat Increased?" Could One Discovery Take On 3 Deadly Parasites?